It is time to stop viewing SEO and UX as separate entities. They are not. Both search engine optimisation and user experience go hand-in-hand. In the past, you could have climbed the search engine result pages with a poor website design simply by keyword stuffing and using other black hat techniques, such as using white text and cloaking. However, these days are long gone. User experience is now one of the most important elements that search engines consider when they are ranking your website. With that being said, read on to discover more about the marriage between SEO and user experience. How does user experience impact on your ranking? And, what can you do to improve your website and your search engine rating in the process? Why does user experience matter in terms of search engine ranking? The answer to this question is easier than you may think: it matters because it matters to Google. Of course, we will elaborate. Over the years, Google algorithms have changed considerably. More recent amendments have been geared towards producing results that are user-friendly and user-focused. Google and the other major search engines work tirelessly to filter out the websites that are relevant, operate quickly, and provide a good user experience from the opposite of this. This isn’t actually a new concept or development. When RankBrain came on the scene in 2015, Google’s attentions were clear. RankBrain has introduced three years ago. With content and links, it was deemed one of the three most important factors when determining the SEO value of any website. RankBrain uses behavioral metrics to understand search queries and measure how people interact with results. So, while keywords, links, and content are all important, the performance of your site is just as critical. How long do people spend on it? Do people leave your website quickly or do they browse the various pages? These are all factors that Google now uses to determine where your website should rank. Search engines and users: they want the same thing! There is no such thing as writing for bots nowadays. If you write for your audience, you automatically write for search engines. Common goals are shared in terms of UX and SEO, which is why they both go hand-in-hand. Search engines do not merely rank pages based on the search terms used. They go beyond this. They try to answer user queries with the right information. It is at this point that the interaction between UX and SEO begins. Both want to help users by providing them with relevant information that enables them to complete their tasks. SEO guides an individual to the content they need. Once they get to this destination, it is UX that informs them. Page speed – Does anyone really want to wait several seconds for a page to load? The modern-dayInternet user does not have time or patience. Poor load times equates to high bounce rates. This means poor user experience and poor search engine rankings. Do you see how it’s like a domino effect? Mobile friendliness – Is your website difficult to view or use on a smaller device? Again, this means poor UX, and that means poor SEO. Content length – Content length is important because you need to create information that provides value. If your content is over 600 words, this sends a signal that it is in-depth and will answer user questions. Headings – Headers improve the readability of the page, enhancing UX, while also giving search bots important signals regarding the relevance of your website. Image tags – Finally, if your images do not load, image tags ensure that the user experience does not suffer as a consequence. How can you improve UX so that your search engine rankings improve too? 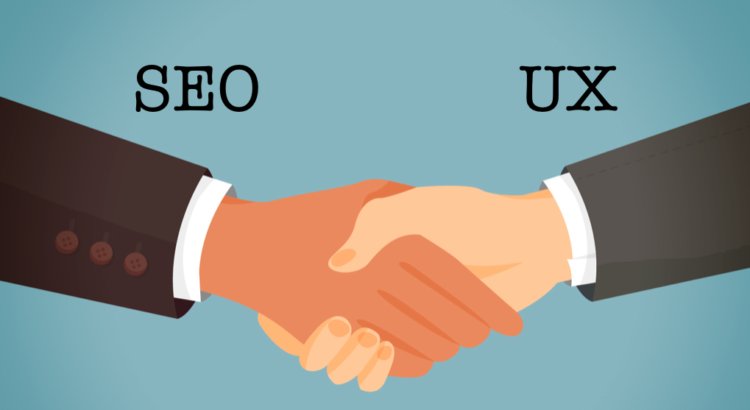 Hopefully, you can now see that there is a clear relationship between UX and SEO. There are so many different ways that user experience impacts how you are going to fair in terms of your search engine ranking. So, if you want to improve your SEO strategy, improving your website’s UX is always a good way to go about it. We are going to take a look at a number of ways you can do this. There is only one place to begin, and this is with focusing on quality. This relates to every aspect of your website. You have probably already gathered that page speed is important. Your web hosting provider can have a big impact on this, so make sure you choose with care. Other vital elements include your internal link structure, content originality, content relevance, and the layout of your pages. Take the time to simplify navigation as well. Users should never need to think about what they are going to do next. Your website should also have a focus on design principles that fit in with SEO principles. This includes optimising your H1 and H2 titles, as well as your website’s functionalities and menu names, generating a clear navigation path, and focusing on product descriptions and names. You also need to make sure your website is optimised for mobile use. There is no excuse for a lack of responsive web design in 2018. Hopefully, you now have a better understanding regarding the marriage between search engine optimisation and user experience. As you can see, user experience has a critical impact on your ranking, and so improving your website and the value it brings will consequently lead to search engine gains.